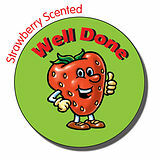 Reward your pupils for fantastic work and behaviour with these strawberry scented 'Well Done' certificates. 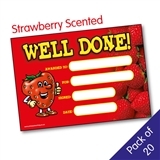 You can use these certificates to motivate your class to work hard every day of the week. The best sticker company ever, I love PTS, stickers are amazing.